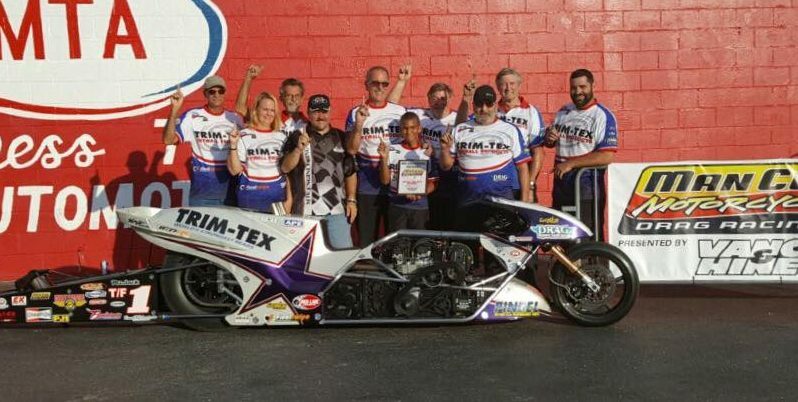 The ManCup MTC Nationals from Rockingham, N.C, Sept. 17-18, could not have gone much better for Top Fuel Motorcycle legend Larry “Spiderman” McBride. After more than eight years of precise, careful labor on a new, state-of-the-art motorcycle, McBride’s “Star” finally reached the winner’s circle running on BST Carbon Fiber Wheels. McBride scored a 6.20 at 228 mph, “pedal fest” final-round victory over veteran Sam Wills. 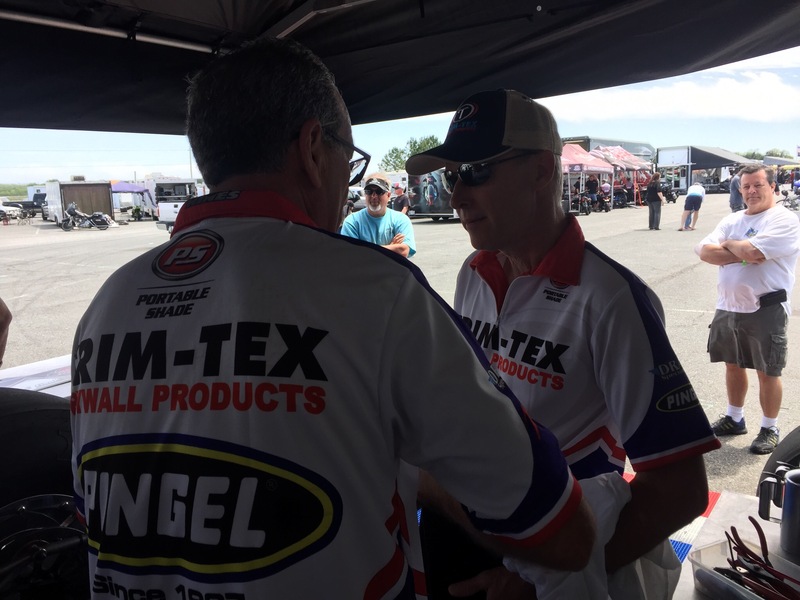 A lot of the help McBride mentioned came from longtime supporter Trim-Tex Drywall Products, who stepped up to be the team’s primary sponsor 10 months ago. Lately McBride has gotten a little advice and help from an expert in the Top Fuel car world. The much-anticipated win ends a more than-year-long event victory drought for McBride, who last won in August of 2015, also in Rockingham. Since that last win McBride sustained a near-career ending explosion and almost totaled his former motorcycle “Blue.” He’s been determined to make a comeback all along. The win also inserts McBride right back into the championship picture. He entered the race trailing Wills by 38 points and now is less than a round behind. McBride will ride his championship hopes into the ManCup Finals in Valdosta, Ga. this November. Koenig is equally excited at the prospect of winning a championship. Next up for McBride will be a match race with Dave Vantine at the IDBL DME Fall Nationals from Maryland International Raceway, Oct. 7-9.